On-line meetings are crucial; done well the meetings increase sales, bring focus to marketing and company initiatives and save everyone time and money. Done poorly and everyone leaves the meeting wondering why they were there. During this program Jeff Smith, vice president at ClearSlide helps us over-come on-line meeting failures. The host is Jim Obermayer. Jeff oversees all aspects of Sales and Client Services. 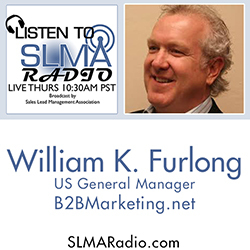 He has more than 20 years of technology leadership experience building sales teams and driving revenue growth. 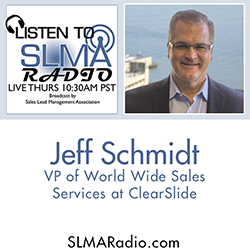 Jeff’s experience prior to ClearSlide includes prominent SaaS companies including WebEx, HighTail, PivotLink, and CoreMetrics in roles as Enterprise GM, Chief Revenue Officer, and head of global sales and services. He earned a BA in Speech Communications, Sales and Marketing from California State University, Northridge. 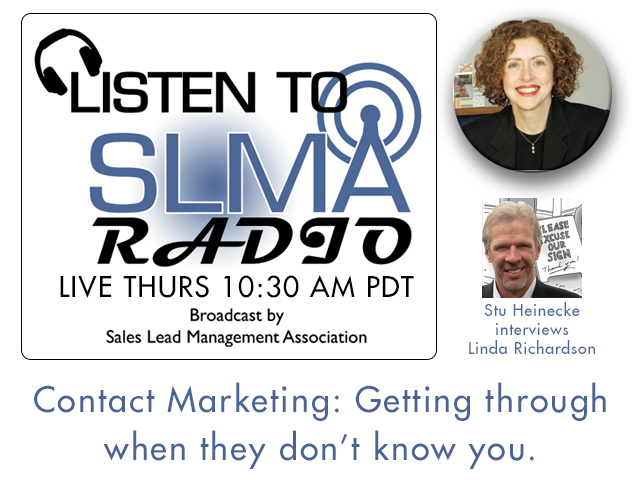 Contact Marketing: When you absolutely MUST get through to someone. Stu Heinecke is the author of "How To Get A Meeting with Anyone" (BenBella Books, 2-2016) and host of this week's show. His book is a compilation of "Contact Marketing" techniques, as he calls them, designed to help sales reps break through to their toughest-to-reach, VIP prospects. In his book, and in this series of interviews, he asks top sales thought leaders, "When you absolutely must get through to someone of great importance, how do you do it?" 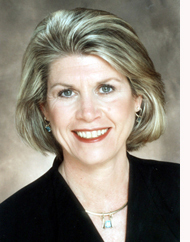 Linda is credited with the movement to Consultative Selling, which is the cornerstone of Richardson’s methodology. Other innovations Linda has spearheaded in the sales training industry are: development of a comprehensive, integrated curriculum dedicated exclusively to sales, commitment to customization vs. generic training, and development of an interactive coaching-type training methodology. Her innovation in eLearning earned Richardson the Best Soft Skills Award from Elearning! magazine and Product of the Year for Richardson SkillGauge™ diagnostics from Customer Interaction Solutions magazine. Linda is the author of ten books on selling and sales management, including her most recent works, Perfect Selling, The Sales Success Handbook — 20 Lessons to Open and Close Sales Now, Sales Coaching — Making the Great Leap from Sales Manager to Sales Coach, and Stop Telling, Start Selling. She teaches sales and management courses at the Wharton Graduate School of the University of Pennsylvania and the Wharton Executive Development Center. She is a frequent speaker at industry and client conferences. Linda currently serves on the Mayor’s Council for the Arts for the City of Philadelphia, is a Director of the Pennsylvania Academy of the Fine Arts, and a Director of the American Poetry Review. She served on the United States Small Business Administration President’s Council from 1991 to 1993. 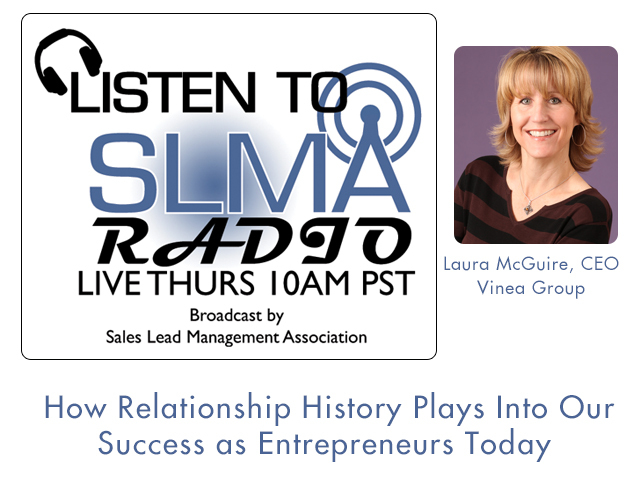 Laura McGuire - CEO/Founder of Vinea Group and Founder of Saligent talks about how your history - going back as far as you may remember definitely affects where you are today. She started out as a competitive swimmer, one of seven children, Army brat and so much more. She was always faced competition, change and challenges with vigor! She cites her friend MacMcintosh and their mutual "life's too short" test. No nonsense - life is too short. Bring your integrity, your willingness to learn, change and adapt and you will succeed. 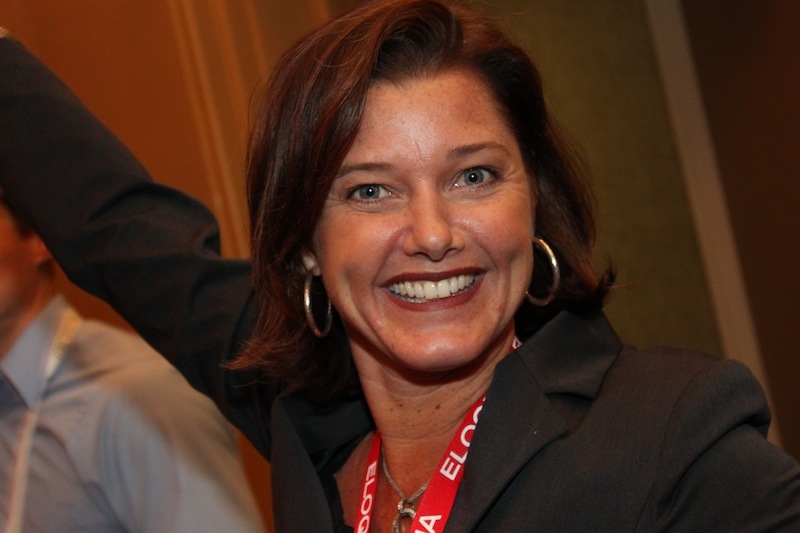 Laura has been named to the 50 Most Influential in Sales Lead Management for several years and has topped the list more than once. 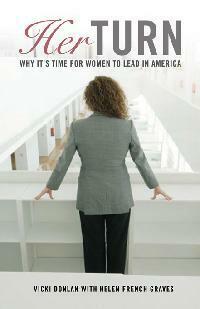 She has also been named to the 20 Women to Watch in Sales Lead Management for a few years. Hear her joy, her passion as she talks about the journey. THAT'S an entrepreneur. 2:00 - Arm wrestling - really! 4:43 - Given the run around by venture capitalist and determined she needed to shake it up, "Let's decide this with arm wrestling." Speaks volumes as to who she is, but at the core she is the same: she adapts, she is strong, self-starter, develop relationships when you move and carry them forward - this is what she has done with her upbringing as an "army brat." 6:38 - Worries and projects must pass the "Life is too short test" - she and her friend, MacMcIntosh agree on this. 7:30 - What is considered success? "The people we've come to grow and love." She's still in contact with the people from her original account at NEC 25 years ago. "THAT is the most gratifying thing." That is success. You've maintained a rapport through the years and continue to support each other. 8:46 - How long did it take to get the confidence that you didn't have to work for someone else again? When did you know you could make it and continue to bring these relationships forward? 11:00 Rabbit hole story about Jeff Zigler and her first cinderblock building location - wide-eyed, but not as much as the door-to-door sales telecom people that came to their door. Laura and her crew 3 of them - tech savvy, unbeknownst to the sales visitors. By the time they left, they had an appointment at the telecom HQ facility in Kansas City and sold them! 12:45 Laura admits, "SUCH A RUSH to be an entrepreneur!" 13:01 Most fun when invited to speak because of entrepreneurial experiences to incorporate successes and failures. It tells the true story. 14:06 Susan's story: As she went into labor with her first child, she decided that she was never going back to a traditional office and would make it on her own. Her first client was her recent employer - he supported her dream 100% and helped her get more clients because he believed in her. 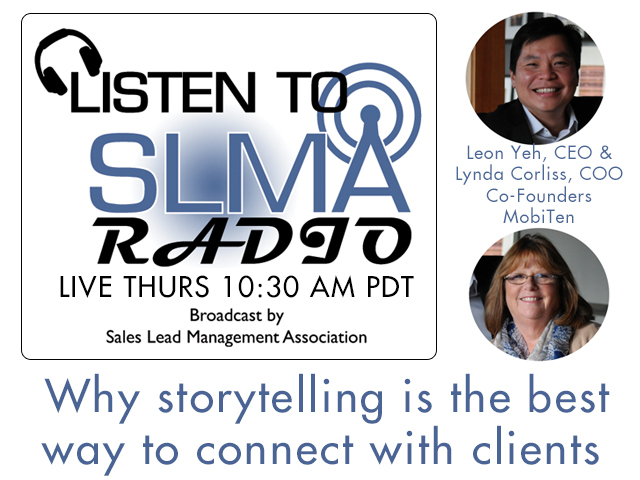 15:00 Laurie's story of "One Client" before there were the terms: marketing automation, sales lead management. We used a lot more words to describe what we were all doing. 16:45 By the time she opened Vineya Group, she was able to do it with only company funds and no other investors or loans. 19:30 Ronnie Bincer common friend. He's a force on Google+ and Hangouts, even though he started out in SEO - he saw the connection and the value of combining video, great content, and relationships as the key to continue to build credibility, reputation and sales. 19:45 LinkedIn becoming more of a content resource. 20:00 - Laura is adding to the toolbox with Google+. 21:00 It about matching a client's value proposition to a known need. "We finally puts words around their problems." 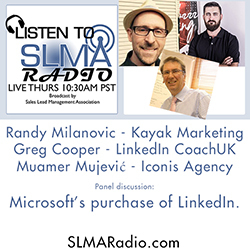 Ronnie, like Susan is a nationally prominent in understanding Google+ and Hangouts. 22:00 Video SEO is critical to reach. Susan says "It's huge in building authority - relationship building." Laura says, "Do your due diligence about every tool in the arsenal." For a while, we were all in the HubSpot frenzy - inbound digital, fanning your digital feathers - have them come to you - but there is so much coming at us at such a pace. 23:15 "Please don't make me learn something new today! Give me a day off!" This is part of the fatigue coupled with the huge excitement. Prospect engagement and converstion - fill in the top of the funnel - based on THEIR NEEDS and what's relevant to THEM. We understand the tools, good-old fashioned email marketing digital retargeting. 24:25 Laura McGuire says, "Folks, you need to get better understand the power of Google+. I can get the fatigue, but there has been a phenomenon of adoption. There has been more growth in Google+ - despite naysayers - than any other social platform in that amount of time - even Facebook. Because of YouTube and Hangouts - not instead of - but it will eclipse tools that we thought were 'whiz-bangy' as recent as a year ago." 25:15 - Shifting the hub of your communication. Where are you the most effective when you only have a limited amount of time. That's where you need to be. Laura agrees. 25:45 No one can be the expert at everything, but as a leader and decision maker, you need to quickly understand how things need to be plugged in and applied to the people you are serving. 26:15 enterprise marketing automation in mid-to late 90's - duked it out. Learned a lot. Laura and her companies kept their eye on the concept of cloud before the term came up. Like other scrappy regional agencies, they set up their cloud labor the first day when Citrix set up their cloud server about 25 years ago. They ended up with a large number of patents, some of which were earliest and most cited patents in crowd sourcing and cloud labor space. 27:35 Cannot remove that human element, the relationship - you have to use voice to voice and face to face to truly develop true relationships. We will be investing a lot of our time and treasure, it will definitely change the face of labor in the next 5-10 years. Vineya is constantly looking at cost containment and profitability measures - crowd sourcing. It's rocking the content marketing world! I don’t want your business card and you can’t make me take it! 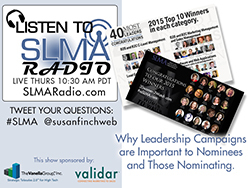 SLMA Radio co-host Susan Finch will be talking with Jessica Dewell, Chief Purposer/Founder of RedDirection.com. She is the host of Women in Business Today on Google+, a regular featured guest on the topic of identifying your target market segments well beyond demographics and sociographics. Think of Jessica Dewell as a purposer: one who has spent her entire career online and is passionate about accurately articulating your business story. Why is this important? Simply put, using your style to target customers is the basis for forming connections online. Adamant that not all online marketing is right for every business, she wants to ensure your customers dictate where marketing occurs. Jess will help you purpose — and, equally important, expand — your existing marketing to promote maximum long term results. As much time as she and Susan both spend networking online, they haven't forgotten the art of networking in person, how to behave at learning events, networking events and social business events. Let's start with the card crammer - you know that person - you may be that person. We're going to be talking about THOSE people and so many more like them that make you cringe. If you need the expertise of not only an experienced, active Google Plus user, but also someone who understands marketing and web strategy, consider hiring me for some hands-on personal Google Plus training. I am also the author of the Google+ Pro Tips series of ebooks, available on Kindle. You should check these out if you want to ramp up your Google+ return on investment.